This is China's biggest and youngest volcanic island in the Gulf of Tonkin in the South China Sea. Formed by volcanic eruptions, the island is declared as a national park with its unique geological and geomorphologic landscape. 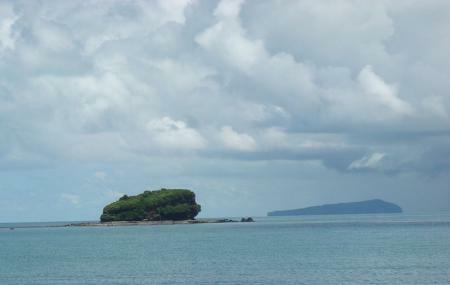 The sea around the island is rich in corals and aquatic lives. It is not generally crowded by tourists and hence you will find serenity around the island. The island provides inexpensive and delicious seafood, virgin beaches, and wonderful spots to explore. You can rent motor tricycles or bicycles to roam around the island. Some of the attractions here are Crocodile Hill, Shiluokou, Catholic Cathedral, St Maria Church, Sanpo Temple, Coral Reefs, Banana plantations and Xieyang Island. Apart from splashing or soaking at the beaches, you can enjoy a variety of activities such as Diving, Snorkeling, Fishing, Hiking and Biking. Use Beihai trip planner to visit Beihai Weizhou Island and many others to your visit. Add comfortable hotels to your plan, choose from the recommended hotels in Beihai like Beihai Yuedong Hotel, Canaan Seaview Apartment and Golden Shining New Century Grand Hotel Beihai. If you want to add the visit to Beihai Weizhou Island in your trip, you can choose from the variety of Beihai vacation packages that can be designed to suit your preferences. These packages also cover your major concern of how to reach Beihai. Love this? Explore the entire list of places to visit in Beihai before you plan your trip. Fancy a good night's sleep after a tiring day? Check out where to stay in Beihai and book an accommodation of your choice. How popular is Beihai Weizhou Island? People normally also visit Hepu Dugong National Nature Reserve while planning their trip to Beihai Weizhou Island.